SLAP was founded on the idea that in order to achieve economic and social justice, the cycle of poverty must be broken. The idea is nothing new – those that can’t afford or get access to higher education have less job opportunities, which in turn gives them a lower socioeconomic status. 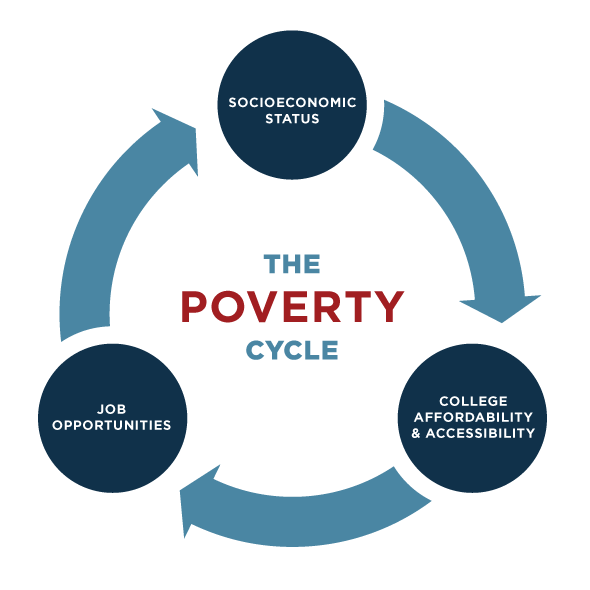 When they have children or have other family members try to obtain a college degree, they’ll be unable to help – thus limiting the access to a college degree, giving less job opportunities – creating a cycle of poverty that entire families get stuck in. In the recent history of the United States, we prioritized the need for an education – that wasn’t limited to just the 1%. The more ability one has to obtain a college degree, the more ability we have of upward economic mobility. If this trend of the poverty cycle continues, we’ll see more and more families get trapped in the 99% and wealth continue to just be accumulated by a few, limiting the opportunities of the many. SLAP is fighting the poverty cycle with direct action organizing to make education a right and towards full and fair employment. To learn more about how you can get involved, check out our campaigns page.